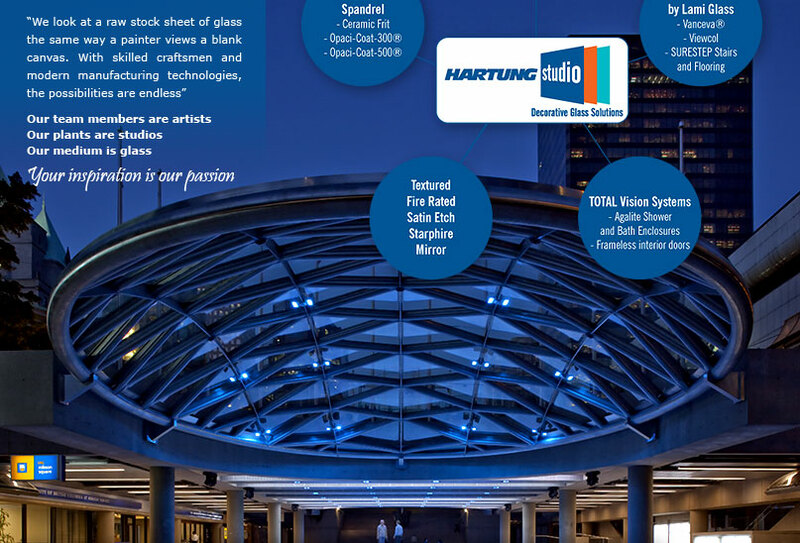 Hartung Glass offers one of the widest selections of Architectural and Decorative Glass products in the United States and Canada. Hartung Studio represents the limitless possibilities that can be created with glass color, texture, imagery and opacity by blending ceramic frit with laminated glass. Contact one of our glass experts for more information or to request a sample.